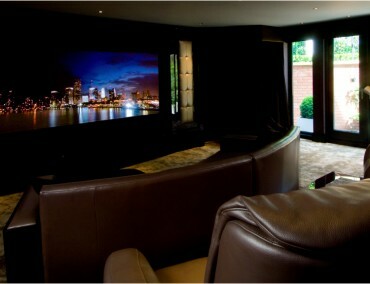 This was an existing client who had purchased a system from us some years ago but had always dreamed of having a large screen cinema in his home. The client is a commercial pilot and was away from home for extended periods but when at home, enjoyes relaxing by gaming, watching movies and catching up on recorded programmes. 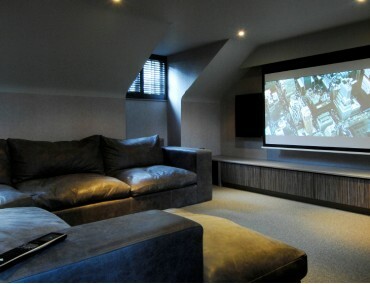 When we visited the client at home his idea was to convert the loft area and install a cinema system but upon inspection this was not going to provide the best performance or convenience for use. We noted that his single garage was not being utilised and suggested that he convert it to a multifunctional media room, which was the best option all round. Our designers created 3D renders to help the client envisage the scheme. He also enjoyed listening to loud music and audio performance was very important. He had experienced Kaleidescape and had this on his wish list but was aware of the price and was doubtful it would fit within budget. Working with the small dimensions of the garage we installed the maximum screen size we felt would suit the viewing distance, a 90” wide fixed-frame acoustically transparent screen. Choosing Artcoustic’s range of Spitfire speakers was a simple decision given their high sensitivity and reputation of high visual cinema and stereo sound quality. 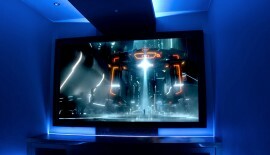 Using colour changing DMX LED lighting, the effects created during gaming were spectacular. A Kaleidescape system was beyond the available budget and as a result we provided a custom built Mac-Mini running media software to give a similar functionality. 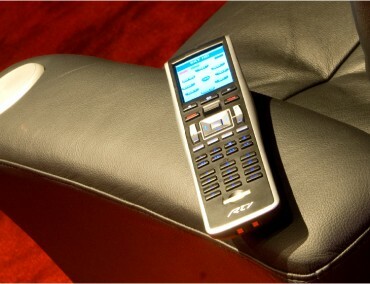 The RTI control system was chosen for its ease of use and value for money. Working with the interior designer we designed and built a bespoke couch located at the rear of the room with an integrated console. The custom cabinetry matched perfectly with the décor in the rest of the property, as well as discreetly housing all of the equipment for remotes and joypads. We installed window treatments with blackout blinds and a curtain track. By designing the speakers to mount behind the screen we were able to steer effects with the picture and maximise stereo separation. We had small dimensions to work within. The client was often away for periods of time due to the nature of his profession. 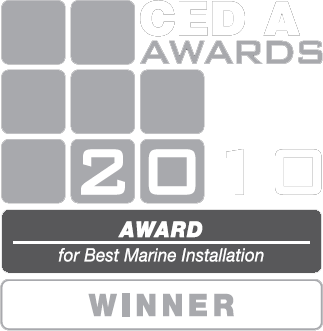 We had a restricted budget that we had to remain within, yet the client still desired an award-winning small room cinema. The client was extremely pleased, the cinema gets regular use and more business has been generated as a result of this ‘powerful little cinema’. 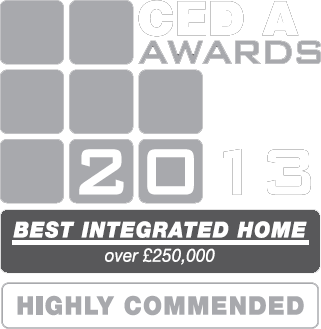 We were “highly Commended” for the design and installation by our industries governing body for this project.